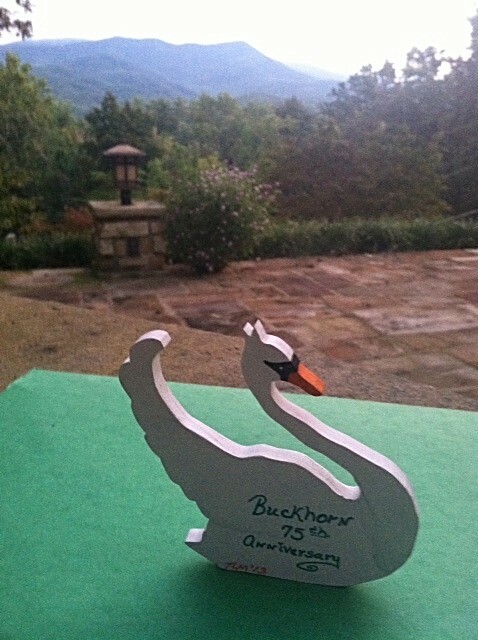 We are publishing a book at the end of this our 75th Anniversary Year of guests’ musings, reflections, and general states of mind in connection with Buckhorn. 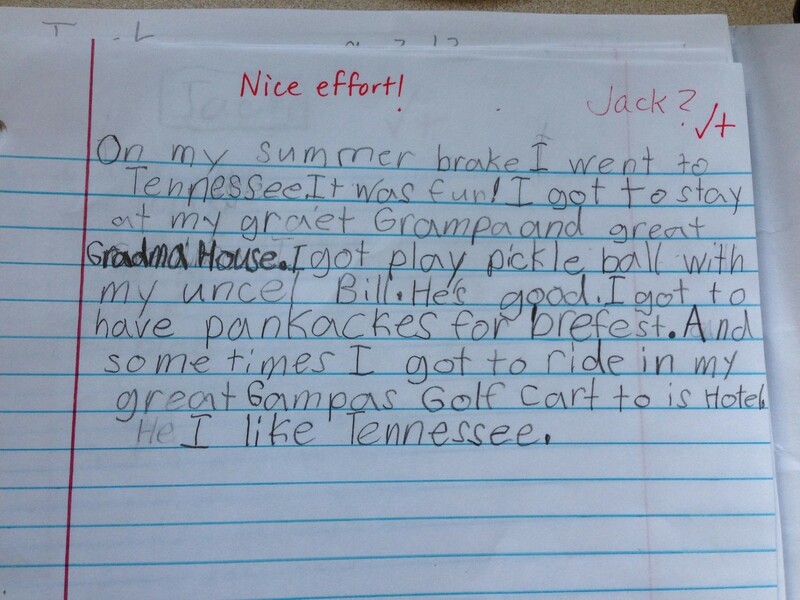 We have already received some good stories, but I am particularly pleased by the unsolicited note from our great-grandson Jack. 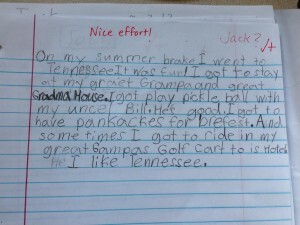 A second grader this year, he was asked to write about his summer holiday which produced the Nice Effort above. Discerning teacher, no? 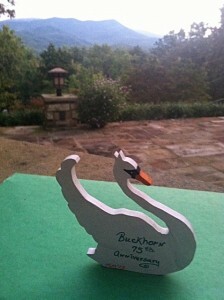 Thanks so much for your southern hospitality. The tireless efforts of the staff to make our stay so very memorable are beyond commendable. We loved our room and all it offered. It helped us to forget all the business of the world and focus more on God and his directions–knowing He holds us in the palm of His hand. We experienced comfort beyond measure and service exceeding every expectation. This is a place that indeed goes the extra mile.